Commercial trucking is not for the faint of heart. Long hours, isolation, quick thinking and the ability to self motivate are part of everyday life for the commercial trucker. If you think you might not be able to handle that, then even applying for a commercial trucking loan might not be such a good idea. 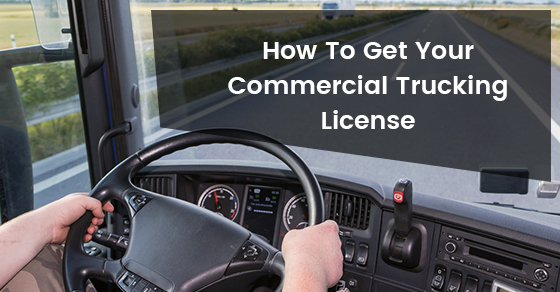 If, however, you think you can hack it, below is some important information about getting your commercial trucking license. These manuals are what you are going to need to study in order to pass your commercial driver’s license exam. The manual is available online at driving centre website. There are also special commercial driving license centres where the manual is readily available. Study this manual well; your life depends on it in order to pass the CDL written and road exam with flying colours. There are three classes of CDL that each have different endorsements for vehicles like school buses, tank trucks, tractor trailers, etc. Each class of vehicle requires that you study for and pass both a written and field test to make sure that you are competent to be operating such a heavy piece of machinery. You will want to make sure you have passed the exam and are certified before applying for a commercial truck loan. You might not even be able to get a loan without first demonstrating you have passed the exam. This allows you to practise driving on public roads with a qualified CDL instructor. You will need to not only pass the test, but your driving record over the past ten years will also be checked. You will also need to go to the doctor and pass a medical examination and bring that with you before any sort of certification is granted to you. You need to have had your learner’s permit (the number of days depends on the jurisdiction) before you are eligible to write the CDL test. In order to get the best score possible, you should practise all of the manoeuvres outlined in the manual and memorize all of the terminology before attempting to write the test. Once you have completed all of the above, the you can start applying for that commercial truck loan. Once approved, you are on your way to becoming a full fledged, career commercial truck driver. Good luck!